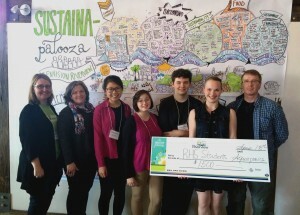 Riverview, NB – A $1500 micro-grant was awarded to Riverview High School students at Sustaina-palooza, last weekend at the Chocolate River Station. 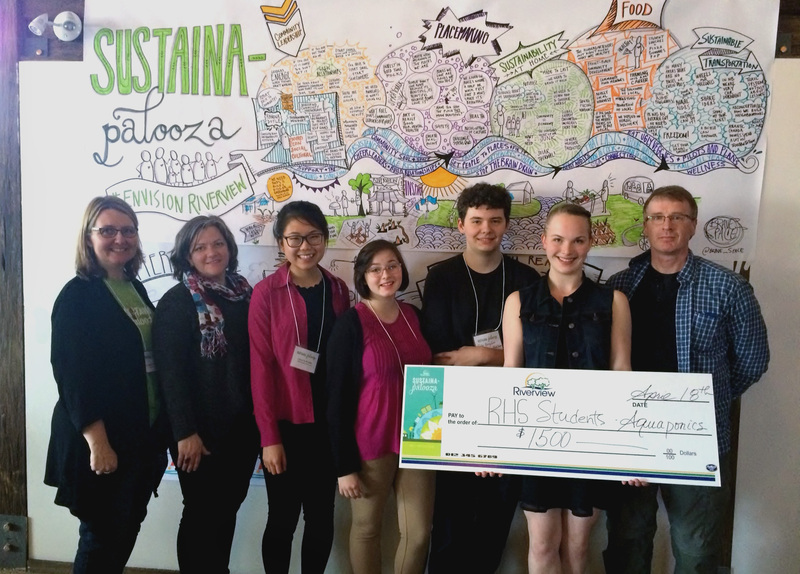 RHS Science 12 students Caitlyn Downes, Cole Hayden and Dakota Steeves pitched their project, a sustainable Hydro-Aquaponic greenhouse, to a judging panel on Saturday, April 18. They were one of 11 groups to vying for the Palooza Pitch prize. The micro-grant will assist the students in creating an aquaculture greenhouse wall inside Riverview High School that will provide experiential learning opportunities in sustainable food systems for students and citizens alike. That project developed by students Sydney Irvine, Ashley Meehan and Grace Park is a public art piece which also functions as a sundial. They will use the funds to build a prototype and costing for the finished piece. Sustaina-palooza participants enjoyed three days of films, tours, discussions and workshops as well as a keynote presentation by Jason Roberts, founder of The Better Block. The Town’s sustainability committee Envision Riverview took the opportunity to launch its vision statement for the town’s sustainability plan which is still in development. The vision is the culmination of three months of engagement activity, which included over 400 survey responses and three Envision Cafés. The vision statement will guide the committee as it completes an Integrated Community Sustainability Plan for the Town of Riverview.